This is guaranteed power for women. Please read on. As a woman, I want to know what is your target and goal/s this year. -. Healthy and slim body? -. Fairer and younger looking skin? -. Be fulfilled? Satisfied with your life? -. To excel at everything you set your mind to? -. Be a superwoman and be able to balance life on a constant basis? How can we have all of them? -. Must NOT eat a lot? -. Must work pretty hard to lose weight? -. Must get an extra boost of energy? -. Drink 6-8 glasses per day? Could you? Being a woman is NOT easy. We have to stick to the script, play and adapt to multiple roles in this movie called life: as queen to our husbands, role models to our children, confidante to our friends, and exceptional career woman to our colleagues – all the while acting with such poise and grace. We experience the constant pressure to always be at our best. There is little room for weakness and sickness. Oh well, whoever said it's gonna be easy? This is why health needs to be our top priority. Without good health, we cannot possibly be 100% ready to face the challenges that come our way. Perhaps this will answer all your questions above. Take control and live the a!life! That's enough.... more than enough to answer all your wishes! After all, it's never about women, it's about building a life and living the a!life!. Today, I survived a 6-hour shoot today with hardly 3 hours of sleep. Not to mention the 3 consecutive days of covering events and we still have to cover another event at Resorts World tomorrow. :) But I'm not worried. Why? Simply because I'm living the a!life! Every single woman desires to live the a!life. Why settle for the good life, when you can have the a!life? If you are one of those women whose very busy wherein the only time you have to zoom in on your anatomy is when you're tweezing your eyebrow or popping a zit, then you could be missing out A LOT of crucial information about your health. So go ahead, and take a closer look on what living the the a!life is all about. Living the a!life means a woman has achieved success in the multiple facets of her existence – whether at home, in her career, or even in the attainment of her personal goals. She is fulfilled. She has arrived. In fact, she can note with satisfaction that she truly has it all. Also, an a!life lady transforms herself into a superwoman, dabbling in anything that piques her interest. I'm quite thankful that I was able to attend the Take Control. Live the a!life Bloggercon at Cerchio Grill & Lounge last Saturday. I've learned a thing or two about having a healthy body image. Also, I've learned to live the a!life. It was indeed an unforgettable dining, health and wellness experience. We indulged in a HUGE feast full of sumptuous dishes and loads of yummy cakes for dessert. It was epic. And the good thing about it is that I never have to worry about all those carbs. We get to enjoy life's pleasures without the guilt while controlling our weight with rock-solid confidence. A key factor to good health is maintaining a healthy body weight. In a country where an increasing number of people suffer from obesity, the threat of chronic degenerative diseases is ever present. Controlling body weight is essential in ensuring good health, but ditching carbohydrates or depriving herself through crash dieting is not an option. Luckily, there is a health supplement that helps block carbohydrate absorption so today’s superwoman can indulge in carbohydrates minus the guilt. Now you can enjoy carb rich meals like pasta, pastries and breads without the guilt! A!life Control helps block carbs in starchy meals so you can give in to your food cravings. With an active lifestyle, regular exercise and daily intake of A!life Control, you can take control of your weight. FACT: Nothing is sexier than a woman who knows how to take control. Take control and live the a!life! a!life Control is a breakthrough supplement containing Phase 2™, an all-natural white bean extract proven by multiple clinical studies to minimize the absorption of carbohydrates. 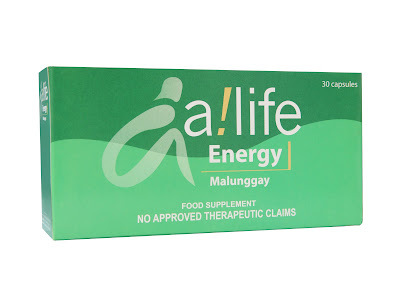 a!life Control reduces the caloric impact of starchy foods while lowering one’s glycemic index. Used in conjunction with a sensible diet and exercise, this carbohydrate blocker can also assist in weight control. Taken 10 minutes before a carbohydrate-loaded meal, a woman can now control her weight and achieve the slimmer figure she’s always wanted. Need more energy? 6-hour energy downed! Well, this is what I took this morning. THIS plus taho for breakfast helped me survived a 6-hour shoot! Yay! 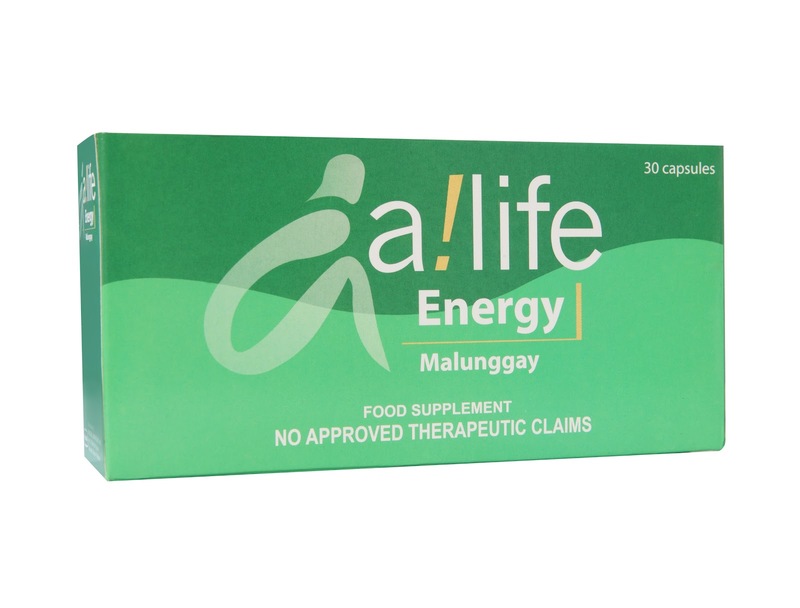 a!life Energy Made from Malunggay leaves, this supplement gives one an extra boost of energy for optimum physical performance. Want to have fairer and younger looking skin? 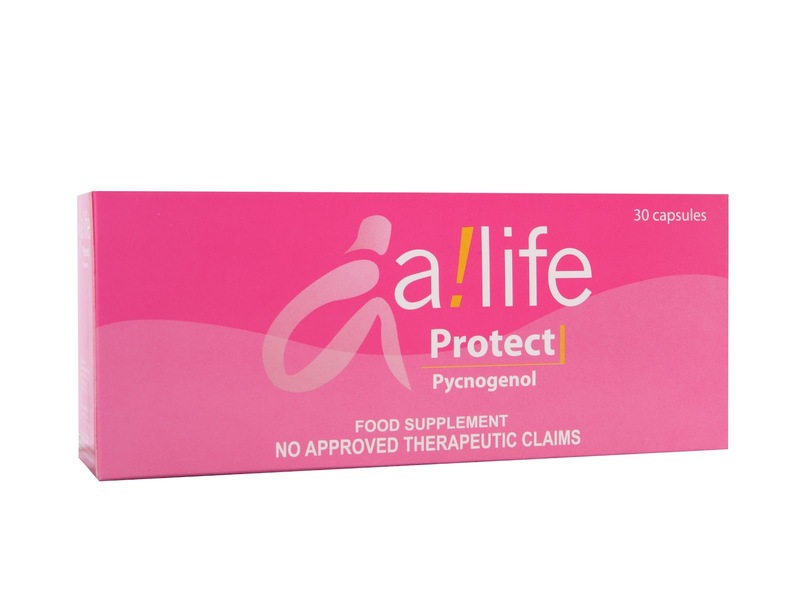 a!life Protect Radiant, fairer skin can attained with this supplement containing Pycnogenol®, a super anti-oxidant that helps the immune system defend against free radicals. 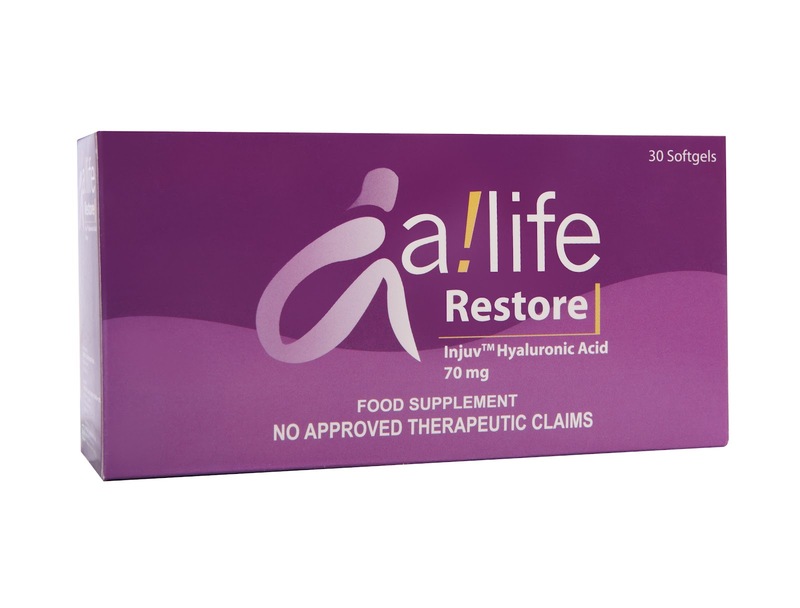 a!life Restore Moisturize skin from within for a youthful glow with this supplement that contains Injuv™, a Hyaluronic Acid that helps erase signs of aging such as wrinkles and fine lines. 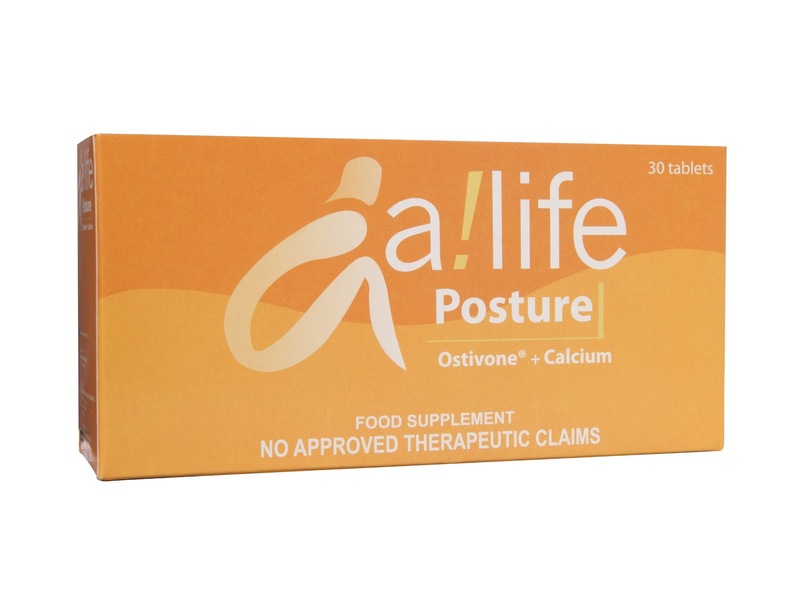 a!life Posture Containing both Calcium and Ostivone®, which helps increase bone density, this supplement can help one keep bones strong for better posture. 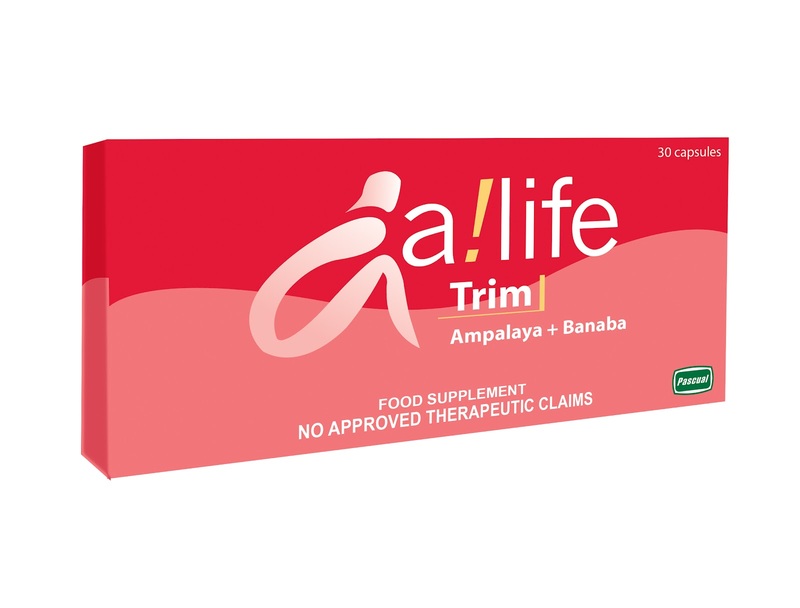 a!life Trim A supplement made with a combination of Ampalaya and Banaba, it aids in the management of blood sugar levels for those at risk of diabetes, while helping one maintain a trim figure. With a!life’s range of food supplements, a woman can bring forth her beauty and strength through radiant health that shines through. With a healthy mind and body, our superwoman is in control and empowered to seize her goals. After all, if there's one thing a woman truly deserves, it is to live the a!life. Now, meet A!life's online brand ambassadors! These ladies were selected by a!life to inspire women to empower themselves with inner health and outer beauty that will get them ahead in life. They take a!life Control to help them maintain their slim figure so they can have the confidence to pursue their passions and goals. Dominique Tiu is a full-time account manager who still manages to indulge her love for fashion despite her busy schedule. When she's not working on her day job, she's also a model, stylist, and a marketing consultant. As if that's not enough, she also manages a fashion blog namely, www.konichiwear.com. Martha Sta. Barbara, also known as The Beauty Junkie, is a theater arts graduate from the University of the Philippines. Because of her love for theater, she discovered another love – makeup. Through her hard work and a keen business sense, she currently manages a successful blog called thebeautyjunkee.blogspot.com. Czjai Ocampo of therebelsweetheart.com is a prolific writer whose obsession for Korean pop culture landed her a job as an associate editor at Korea.com. Besides that, she's also a full-time mom to an energetic little boy. Through skillful multitasking, she has shown that she's in control and living the a!life. What at inspiring list of empowered women! Now you, too, can take control and live the a!life! Be one of the faces of a!life and join top bloggers Dominique Tiu (Konichiwear), Martha Sta. Barbara (The Beauty Junkee) , and Czjai Ocampo (The Rebel Sweetheart.) as online brand ambassadors. Get a chance to win P10,000, a professional make over and photo shoot for a featured spread in Cosmo.ph! 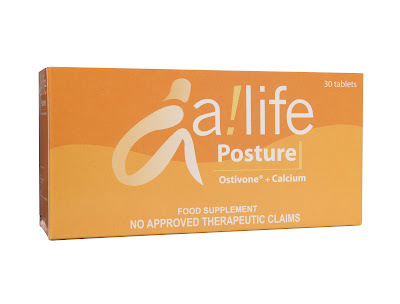 Follow this link for details: https://apps.facebook.com/livethealife/main.php and don't forget to like a!life's Facebook fan page HERE! 1. Promo submission is open to all a!life fans from August 25- September 14, 2012. If you are not yet an a!life fan, you need to "Like" the a!life page in order to join the promo. 2. 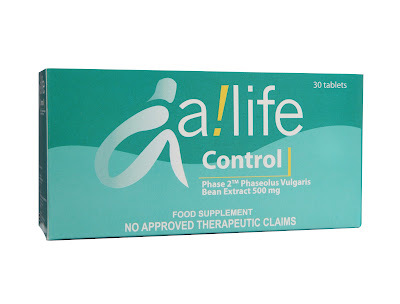 Participants should upload their photo and post how a!life Control helped them Live the a!life. During the voting period, participants should also invite their friends to like their entries by sharing the link. 3. Participants should tell their friends to vote by clicking "like" in their post from September 15-28,2012. If the friend of the participant is not yet an a!life fan, she/he wll have to first like the page in order to be a fan of a!life in FaceBook. 4. Two winners will be selected based on "like" Facebook votation and through discretion of a!life organizers based on the following criteria below. 50% of the score will come from the / on-line votes and 50% will come from the a!life organizers. 5. From September 29-October 3, 2012, all submitted entries will be collated for deliberation by a!life organizers. Winners will be announced on October 5, 2012 through the Facebook page. 6. Each winner will receive the following prizes: one (1) umbrella, complete a!life product range, Php10,000 cash prize, professional make over and photo shoot, and appearance in article spread in Cosmo.ph. Winners also win one of any of the prizes: P2,000 worth of SM Gift Check, P2,000 worth Executive Check-up or P2,000 gym pass. 7. Winners will also receive a personal notification on the schedule of make-over and shoot with Cosmo.ph for an a!life spread feature within October 2012. 8. Contestants need to agree to the terms and conditions of the promotions. Should a winner be selected, she should agree to appear in the Cosmo.ph spread and allow the usage of her photo and story, otherwise this forfeits her from winning, and another winner will then be selected by the a!life organizers. 9. Winners have to claim their prize from Yehey located at the 38th floor of Discovery Suites, #25 ADB avenue,Ortigas Center, Pasig City. Provincial winners will have their prizes delivered via Xend Express c/o Yehey. Unclaimed prizes by October 10, 2012 will be forfeited. 10. Employees, advertising and promo agencies of Pascual Consumer Healthcare Corp are disqualified from joining the promotion. buycheapfacebooklikesPretty interesting post! Thanks it was interesting. consultant whom I can contact inside your organisation to come out this problem rapidly. toilet? Or immerse myself in character every time? I just like the helpful data you supply inside your posts. I did my zoom at Dr Brands office and I love it! I use to use the house kits all the time. Let me tell you, your wasting your time. be glad that you are not forced collectivist dogma yet (do not worry, it's going to come). Public education? does not educate you the best way to consider, it teaches you the way to become a follower on the authoritarian big, bad Point out. the worry of at any time utilizing a single but,on second thoughts,I will stick to checking what's happening inside the pot! longer hydraulic and solid residence during the process. to accumulate information about the property.